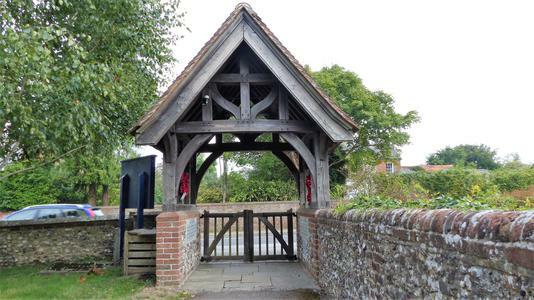 Wooden Lychgate with a tiled, pitch roof. Inscription painted across beam at front of the structure. 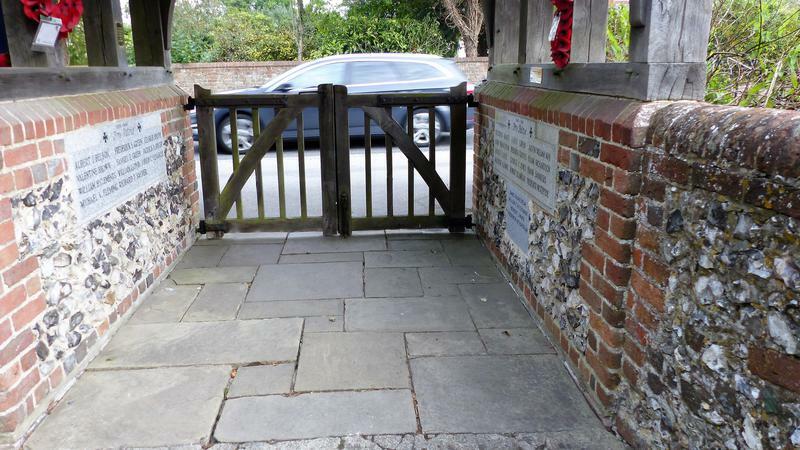 Three, landscape orientated stone tablets are each set flush into two flanking walls. Names incised and infilled with black enamel paint. 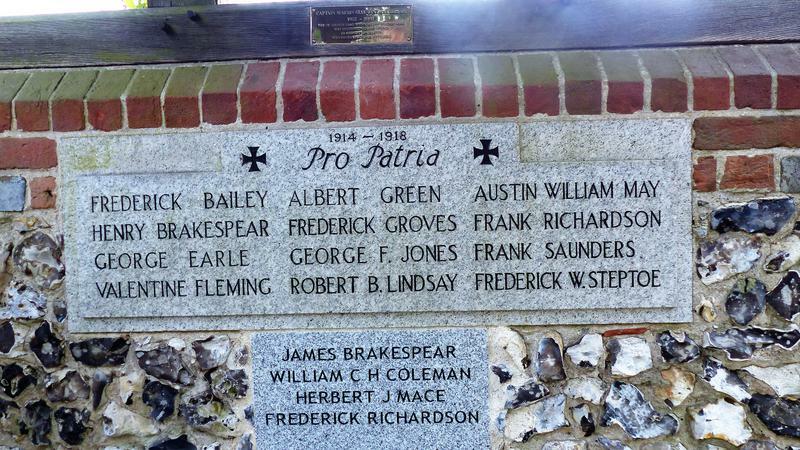 Public contribution from a James Brakespear regarding a renovation to the memorial: "Five years ago (2013) in researching the names of our local fallen in WW1 4 were found to be missing from the original memorial. 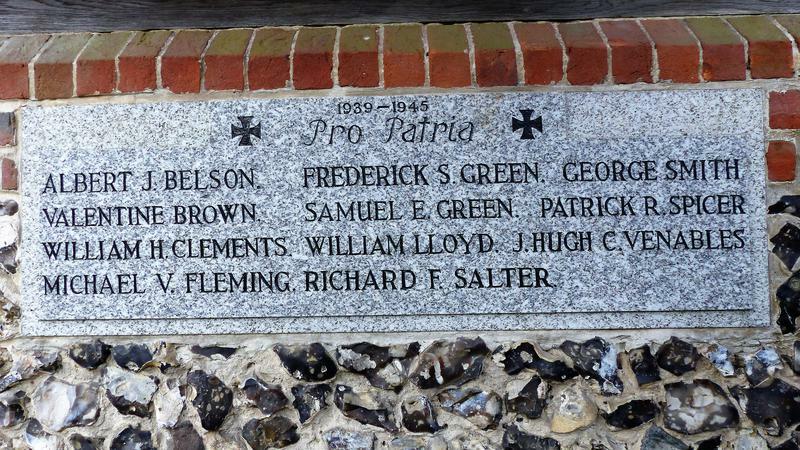 The parish council therefore, with the cooperation of Nettlebed Royal British Legion added the extra names as you can see from the photograph."